As with several reports of the rumored Verizon iPhone, the news is the same. But today, Fortune, the big boys of the business world have confirmed what we told you-all last year, Verizon is getting Apple’s iPhone. We’ve known that the testing was already well into the works on the latest iPhone. Verizon has been testing their network capacity with CDMA as well as LTE trials. Also, Verizon is getting ready to lite-up their LTE network in over 30 cities by the end of the year. What does that mean for Apple’s iPhone fans? Finally a choice in providers. 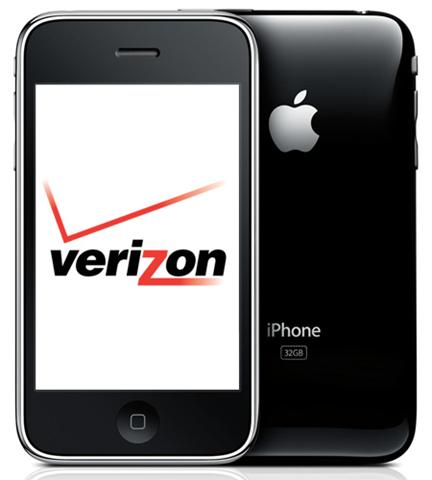 Fortune has confirmed that a Verizon iPhone will be released in early 2011. And now that Verizon’s tiered data plans have kicked-into effect, you can bet that this was surely put into place for not only the company’s current handsets but for the data hogs to come, including the new CDMA, LTE or or dual band CDMA/LTE iPhone 4. Verizon launching LTE network on November 15th? Black Friday brings new handsets? I love it when bombs like this drop out of nowhere. Verizon is expected to begin rolls outs of their LTE 4G network in 25 markets beginning on November 15th, 2010. With those 25 markets, Verizon is expected to provide 4G access to as many as 100 million potential subscribers. The report goes on to say that though 4G handsets will not be available right away, Verizon is planning to release “a slew of new devices” that are capable of taking advantage of Verizon’s new LTE network on Black Friday, November 26th, 2010. The LTE pricing is expected to be tiered and not tied to an additional monthly charge like Sprint has for $10. What ‘tiered’ really means in terms of pricing is not readily clear, but you can expect to pay a premium for use of this new LTE 4G network I’m sure. By then, Sprint should have almost 200 million people covered in the United States with it’s WiMAX 4G technology and a plethora of phones behind them. We will have to wait and see who will win the Q4 2010/Q1 2011 battle for customers with new 4G handsets and pricing programs.